Our president is sucking up to a murderous dictator; Florida recently had a devastating multi-fatality school shooting; and children are being ripped away from their parents at America’s border. 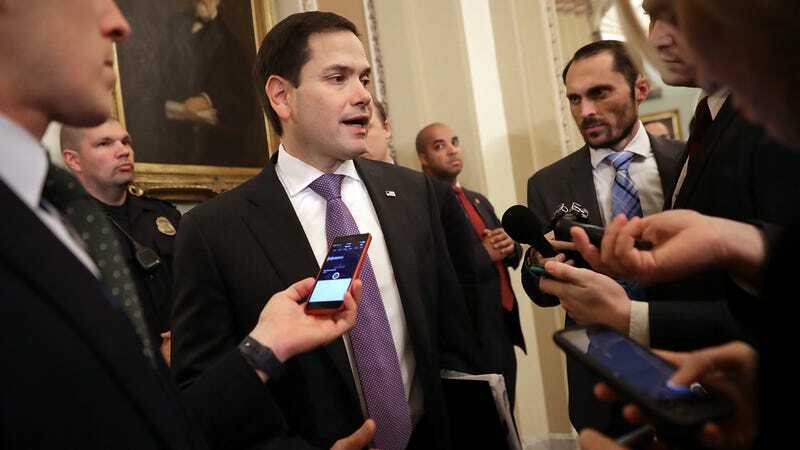 So, Florida Senator Marco Rubio, you must have a lot of issues to juggle—what’s at the top of your agenda? In the email, Rubio goes off on “politically correct lunacy”—oh this is lunacy, all right. (Dorsey didn’t even really apologize.) Rubio then asks his recipients to show their support for Chick-Fil-A by adding their name. What good that will possibly do, no one is really sure. Too bad it’s not his re-election year.